situated along the Mekong River near the border with Thailand, Vientiane is the largest city in Laos, and the capital. This unusual city is surrounded by lush, green paddy fields and is still peaceful and quiet. It contains many temples and Buddhist monuments, including Pha That Luang, one of the most famous Buddhist stupas in Laos. Vientiane is a typically old Indo-Chinese town with a mixture of Asian and French colonial architecture destined to charm you. Not only does the style of the buildings reflect Laos’ historical ties with France, but the freshly baked baguettes are often served next to shops selling Lao noodle soup. This capital city is the centre of culture, commerce and administration in Laos. the former capital of Laos, this UNESCO World Heritage City has to be one of the most charming places in all of Southeast Asia. A myriad of traditional Lao wooden houses and European architecture, with gold-roofed temples and ornate Buddhist decorations, set against a backdrop of verdant greenery and rugged mountains. It houses old monasteries, typically Indo-Chinese store houses and lots of artwork shops. The town is surrounded by various types of natural beauty, offering travellers a wealth of sites to visit. As the first capital of Laos, Luang Prabang has somehow managed to remain unscathed by war and modernization. 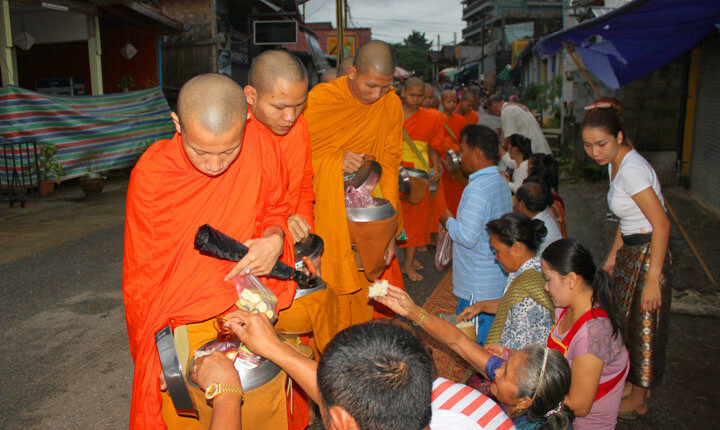 The city wakes up every day to the sound of bells, gongs and drums from the local temples which send the monks and novices on their rounds to collect rice for their daily meal. 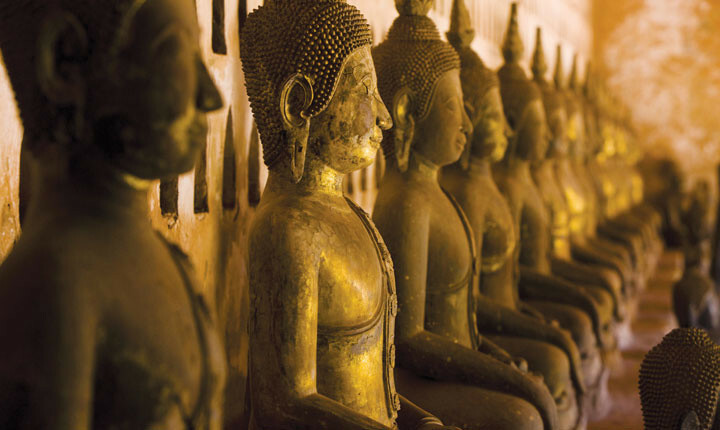 Luang Prabang is the main centre of Buddhism practices and is the perfect location for spiritual contemplation. Still not much more than three streets and a bus station, the main attractions are the river, laid back countryside and cave-filled rock formations. There are also some beautiful, blue lagoons that make for stunning photos. Vang Vieng is truly an outdoor paradise with plenty of outdoor activities available in the most beautiful of surroundings, such as kayaking, caving, rock climbing, etc. the capital of the Champasak province of Southern Laos, Pakse is an ideal base with its relaxing atmosphere on the Mekong and Sedone Rivers, friendly locals, ubiquitous riverside restaurants and bars, and numerous massage clinics. 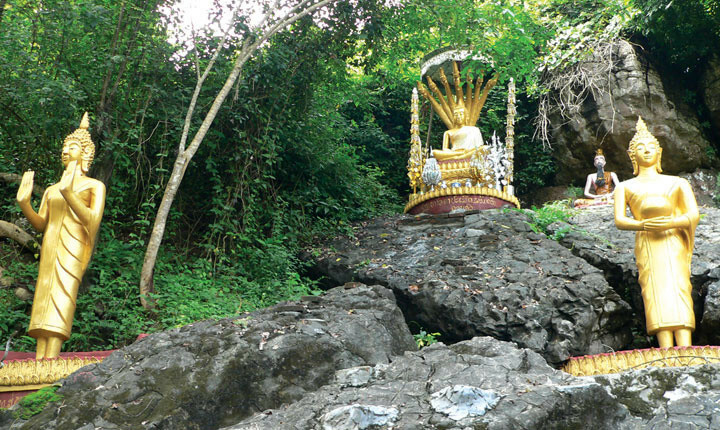 Pakse is synonymous with Wat Phou like Siem Reap is to Angkor Wat. Wat Phou was built by the founder of the first Khmer empire, Jayavarman II. It is much smaller than Angkor, but still a rival to that ancient empire. It is the capital of Champasak Province and an unspoiled place for travellers. Southeast Asia’s highest waterfall, Khong Phapend, and many interesting islands on the Mekong River can be found near Pakse.